Asking just $17.00 -- MUST SELL -- Make me an Offer !! Buyer to pay U.S. Shipping, or item can be picked up. Cash or Money Order only. This is a Rare Collectible -- but still a Very Usable & FUN Childhood Toy -- which provides hours of Entertainment !! In Very Good Condition (clicker to change panes sticks just the slightest bit, but works just fine). Also selling VM Reel Singles or Sets -- Pick a Handful and bundle with this VM Viewer for a Great Gift ! 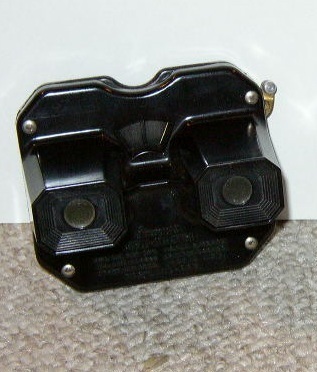 See More View Master items posted for sale in my online store !